Back in 1512, the Florentine statesman Piero Soderini was driven into exile by the Medici family and settled in the stone palazzo surrounded by lush Mediterranean gardens and prime views of the Adriatic creating today’s story of Sun Gardens Dubrovnik. The original palace still stands and forms a picturesque point within the resort gardens. In harmony with its natural surroundings and signature style of architecture Sun Gardens Dubrovnik is an Adriatic oasis that embodies the very essence of the destination. Enriching authentic experience, attentive service and dazzling setting are highlights of a warm welcome to discerning travellers at Sun Gardens Dubrovnik. Sun Gardens Dubrovnik opened its door in 2009 and was designed by architects Medic and Puljiz. 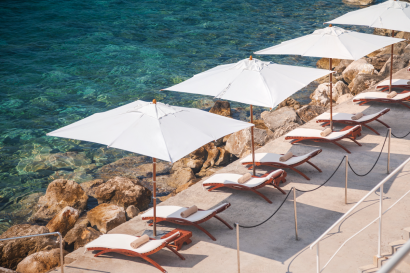 Sun Gardens Dubrovnik replicates the ambiance of a traditional Mediterranean setting overlooking the crystal waters of the Adriatic Sea. 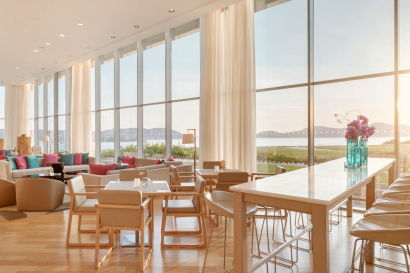 The resort expertly blends sleek modern amenities like a world-class spa and a variety of restaurants with traditional, sun-soaked Mediterranean style allowing travellers to experience the holiday of a lifetime a stone’s throw away from the UNESCO World Heritage Old City Dubrovnik. 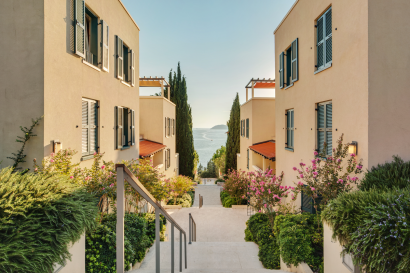 Located a stone’s throw away from the UNESCO Old Town of Dubrovnik, resort overlooks the crystal waters of Adriatic Sea and beautiful Elaphiti Islands. Hotel’s dazzling Croatia setting, accessible location and exclusive facilities make it the ultimate traveller destination which from to explore and enjoy everything the region has to offer all year round. Highlight of Dubrovnik is the Old City, a UNESCO World Heritage Site with magnificent defensive walls surrounding it. Stroll down Stradun and explore beautiful medieval churches, small narrow streets filled with restaurants & wine bars, local grocery green market, and art galleries. Trsteno Arboretum – Leave behind the rush and noise of today’s world and take a step back in time to a more peaceful era, amidst the natural beauty of the Trsteno arboretum. Walk along quiet garden paths, under a canopy of deep green leaves, and delight in the cool scents of exotic trees and flowers, the sounds of splashing fountains, as the crystal blue waters of the Adriatic Sea spread below ancient trees reaching up to the sky. 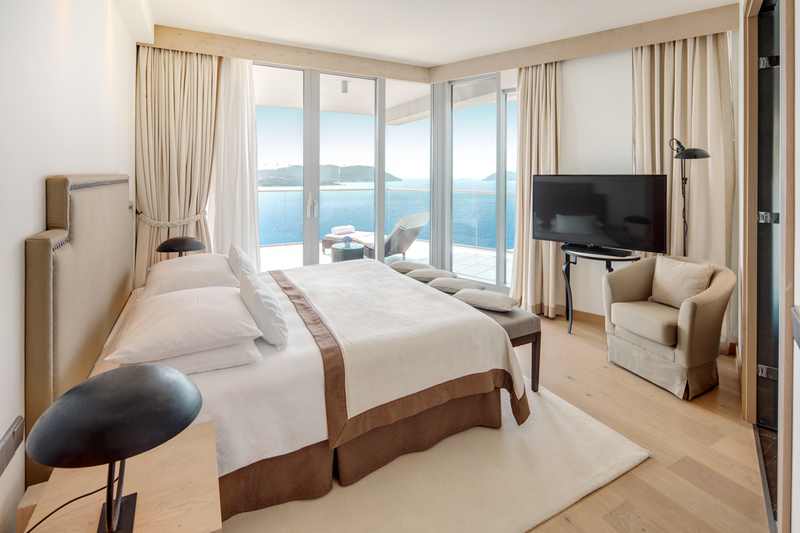 Our most exclusive suites are named after four most beautiful fortresses in the Old City Dubrovnik – Lovrijenac, Revelin, Minčeta and Bokar. Guess which one of them has breath-taking views of the Adriatic and discover our resort best kept secret. With specially trained staff on hand at all times, every moment is an adventure to be remembered, offering the chance for children to have new experiences under the warm Mediterranean sun. Worldwide Kids provides facilities audit and accredited childcare training to ensure that children have a safe, fun, and engaging experience in our care. Child’s weekly diary will be full, from sports to educational programmes. Marco Polo Kid’s Club features Baby Club – nine months to three-year-olds, Mini Club – three to six-year-olds, Junior Club – seven to ten-year-olds, Tween Club – eleven to fifteen year oldsTeen Club – sixteen to nineteen-year-olds. Mini & Junior Club are supervised from May 14 to September 30, and Baby Club from July 5 to August 25. Tween & Teen Club is available from July 16 to September 2. Upon advance request, the hotel can arrange for a babysitter with verified references to provide babysitting services, available from May 14 to September 30. Our childcare services are very popular and operate to strict care ratios so we strongly advise pre-booking. Sports Academy for children aged 7 to 15 years features: Football Academy, Tennis Academy, Basketball Academy, Swimming and Water Polo Academy & Sports Camp. Sports Academy is available on weekly basis from May 27 until September 29, 2019. At the resort there are family friendly Sunset pool and Lemonia pool, featuring dedicated pools for children with beautiful water features as well as outdoor playground nearby. There is also baby concierge service available – allowing parents to pre book amenities for children prior to their arrival. Croatia’s premier five star resort offers an exquisite choice of 408 modern hotel rooms, suites and luxurious residences accommodation experiencing the unique charm of the Dalmatian coast. 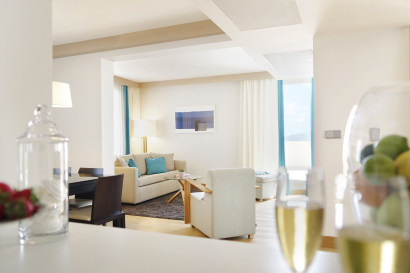 Understated elegance, chic design & top-class amenities are the hallmark of every room and suite in the resort. The resort features a 201 modern rooms and charming suites: 178 Standard, Deluxe and Club Rooms, 23 elegant Suites including Deluxe, Club, spacious Executive and superb, top floor Presidential Suite. Hotel rooms and suites feature a stunning terrace or balcony overlooking the magnificent view of the islands dotting the crystal clear waters. Perfect for families or friends travelling together, the spacious and comfortable residences feature fully equipped kitchens, cosy living rooms with balconies or terraces overlooking Mediterranean gardens or stunning sea views. Excellent food and warm hospitality are in abundance, with the resort’s 16 restaurants and bars offering a variety of cuisines including rich buffets, gourmet breakfasts, boutique eateries, poolside venues and bars that cater to both local and international flavours. Boasting a casual dining atmosphere befitting of its venue with a sea view, this restaurant is known for its array of buffets that include breads, cheeses, fruits, sweets and other tasty dishes. 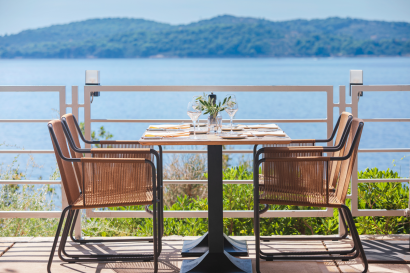 Dine al fresco at Cilantro, the Mediterranean restaurant set beside the sparkling Adriatic Sea that serves the best of Mediterranean and Croatian specialties. You will find classic Italian cuisine with a fresh twist at La Pasta. The open kitchen lets you see delicious pasta dishes being prepared, while a pizza oven produces wonderful aromas and great-tasting pizzas. The ideal location to sail the high seas of seafood and fish dishes from the Adriatic. With a panoramic terrace overlooking the Adriatic Sea and the Elaphite Islands, The Market brings you delicious dishes in splendid surroundings. For a premium steak, head to The Butcher grill, located in the Marketplace promenade. The steaks are highest quality meats from all over the world and are all complemented with fresh, local produce. Maraska Lounge Bar offers a sophisticated and relaxed atmosphere and serves both international and Croatian cuisines. Try something lighter from the menu, such as a salad, sandwich or snack and wash it down with a cold beer, a creative mixed drink or a glass of your favourite wine. For the wine connoisseur, a visit to Vino is a must while in Dubrovnik. Vino’s collection features the best of what Croatia has to offer, including unique and award-winning vintages. You can also taste a variety of tapas authentic to different wine regions and enjoy soothing live music several times a week. * Please note that some of our bars & restaurants are seasonally available and opening times are subject to change and weather permitting. The award-winning Spa Centre features a holistic concept and a brand of products with strong connections to the power of nature. 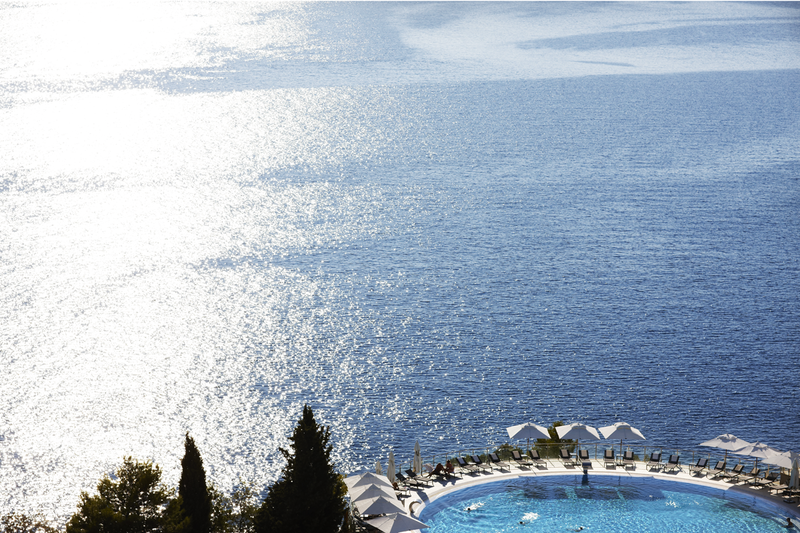 It is enriching and authentic, inspired by the breath taking beauty of The Dalmatian Coast and Adriatic Sea. 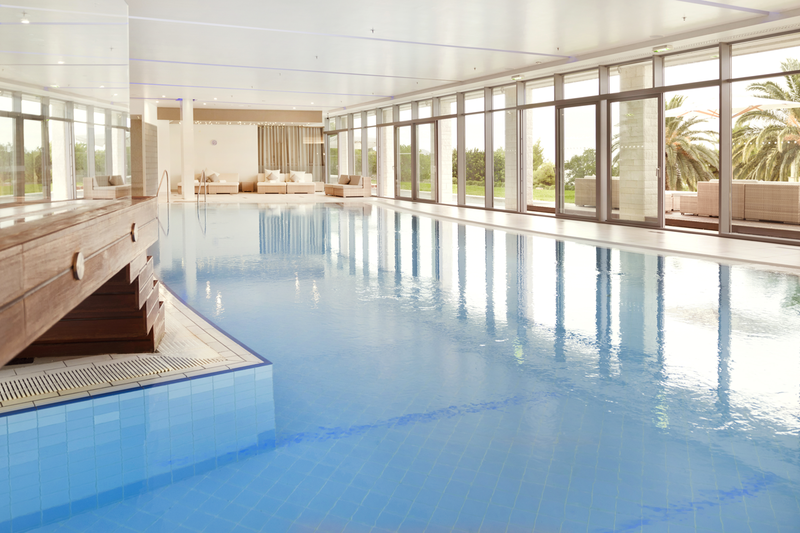 Immerse yourself in our spa experience and cleanse your body from the hustle and bustle of modern life. The spa treatments have been developed by experienced spa professionals and are rooted in longstanding traditions with proven benefits. Authentic hands-on-techniques, coupled with signature treatments, restore vitality and health to the skin, body and mind. Spa Centre features Hydrotherapy pool, individual treatment rooms, Poolside loungers and relaxation zone with stunning views, relaxing 18-metre lagoon pool, Tepidarium, Thalassotherapy spa bath, Thermal area and two exclusive suites for couples’ spa treatments. 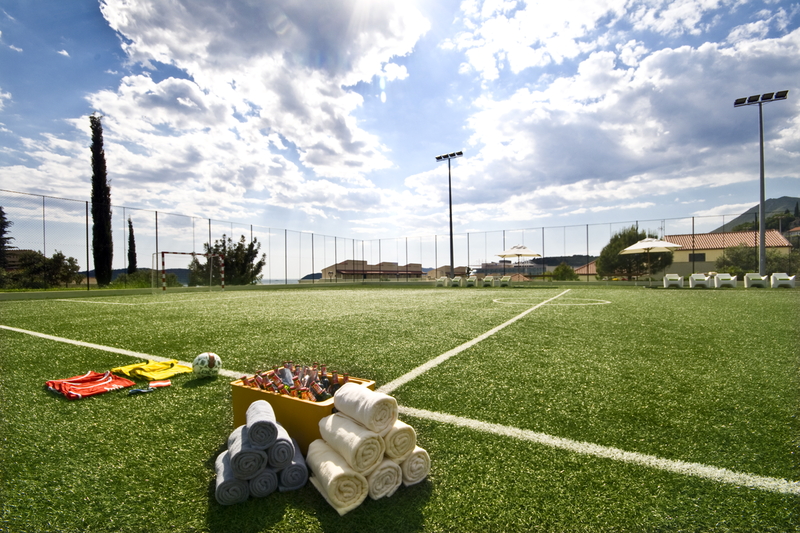 Sun Gardens Dubrovnik is the perfect destination for sports and fitness enthusiasts featuring a fully equipped gym and a superb range of indoor and outdoor on-site activities including five-a-side football, three clay tennis courts, squash courts, full-size climbing wall and group classes. 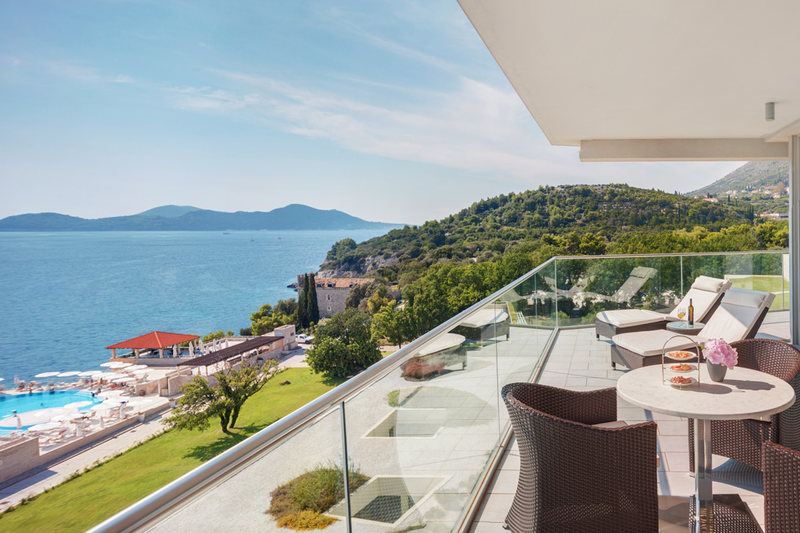 With the sparkling Adriatic Sea always on the horizon, Sun Gardens Dubrovnik is the ideal conference venue. In the resort there is a multifunctional grand ballroom which can accommodate up to 900 participants, as well as seven additional breakout rooms. With a total of 1,800 metres squared your event is limited by your imagination only. Silver-service dinner on the beach, champagne cocktail on the rooftop terrace, island hopping from our marina are some of the numerous options available within the resort. Explore Dalmatian cuisine where the tradition and way of life of the local people are tangled on a plate. For the true wine enthusiasts, we have designed an appealing course to expand wine knowledge and sample some of the best Croatian wines and discover Croatia through its rich wine regions. Take a step forward and join the Mixology Course at Sun Gardens Dubrovnik to learn the best-kept secrets behind the bar & learn how to prepare some of the most famous cocktails in the world. Spending summer in Dubrovnik means enjoying not only its beauties, but also the events that the hosts have prepared for the visitors of this Croatian gem. In warm summer nights, join us for the Sun Gardens Festival and enjoy the lively atmosphere, sipping a glass of wine, sparkling champagne or cocktail in attractive locations with a sea view. To complement your stay in Dubrovnik, visit our on-site agency and experience Dubrovnik’s beautiful Elaphite Islands, enjoy crystal clear waters, relax at Mediterranean sun and unwind as all the island echoes calm and harmony. Water sports enthusiasts can discover a diving centre that conducts training courses for various types of diving and levels of diving skills or try variety of the water sports available within our Marina.